The stories in this haunting collection are as ancient and recent, powerful and fantastical, real, and imaginary as the ghosts of myth and legend they feature. Here you will find chilling tales of restless Vikings, doomed to haunt their former sparring grounds; the mysterious haunted picture of "Cunning" Murrell; the distraught countryman of Canvey Island forever searching for his horse and cart; and the specter of a runaway funeral carriage. Read about phantom highwaymen, dastardly smugglers, strange wartime encounters, foul murders, and one-eyed strangers, all brought to life by noted storyteller Robert Hallmann. Richly illustrated with 30 original drawings, these spine-tingling stories interweave fact and fiction to create perfect tales for reading under the covers on stormy nights. 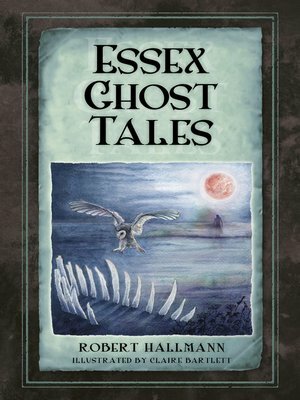 Robert Hallmann is a freelance writer and landscape photographer who has written and illustrated several features for Essex Life magazine and is the author of three books on Essex.